2011 Happy Birthday Ken Barbie Doll Beautiful! We know that 2011 is all about Ken dolls 50th anniversary. But Barbie is STILL a major part of the fab festivities. Wearing her most eye-catching, show-stopping outfit to present Ken with his birthday gift, Barbie is every bit the beautiful birthday present herself. 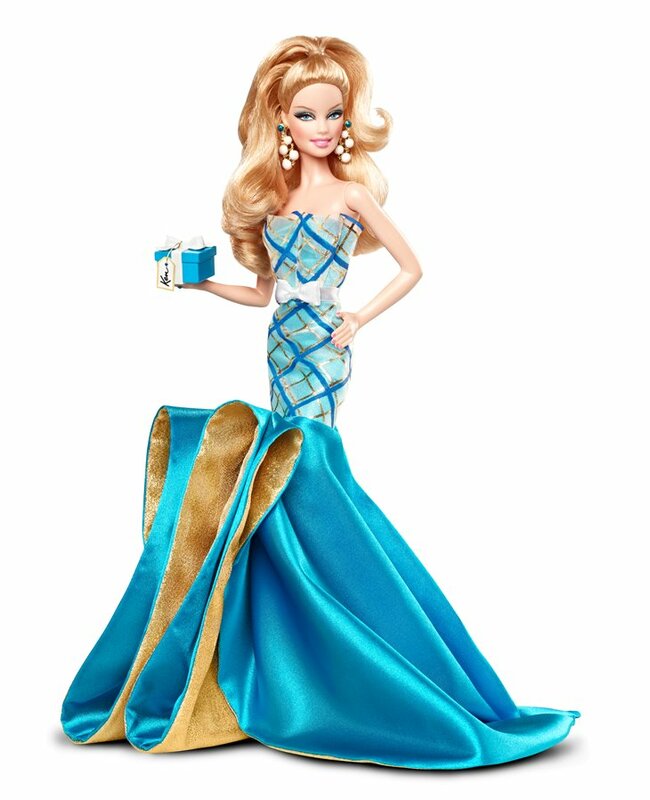 Draped in Ken dolls signature color cyan blue, her gown features an organza plaid bodice (a wink and a nod to his famous and fabulous sweater vests) and adorable white bow at her waist (inspired by a classic Ken accouterment, the bow tie!). With cyan-colored gift box with Ken logo tag in hand, Barbie cant wait to wish Ken a very happy birthday!